Anti-icing systems are key equipment on the aircraft platform. They are designed to keep free of ice all outer parts of aircrafts while in flight. Without anti-icing systems, the effects of ice accretion on an aircraft will change the shapes of airfoils and can modify the flight control parameters, which can ultimately lead to a complete loss of control and/or insufficient lift to keep the aircraft airborne. When helicopters operate in icy or snowy environmental conditions, the pilot needs to activate the anti-icing system. This anti icing system typically keeps the engine inlet surface at above 38°C (100°F).. If outside air temperatures are very cold, extremely heavy icing conditions prevail, or the helicopter is maintaining a high forward airspeed, the engine air inlet anti-icing system will not be able to keep a temperature high enough to prevent the build up of ice in the engine inlet duct. So there is a high potential of ingestion of ice deposits by the engine. Even when the engine air inlet anti-icing system is able to heat the engine inlet surface sufficiently, there is still the threat of random ice ingestion if deposits on rotors, the fuselage section, antennas are directed into the engine air intake stream. Shedding ice deposits from helicopters, often larger than household ice cubes, can be devastating to engine compressor blades. 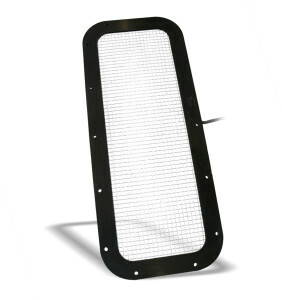 In some case, engine inlet screens are used to avoid debris being swallowed. This screen without any anti-icing system is one more factor of ice accumulation and even can bring engine flameouts when air starvation occurs. The anti-icing grid is the solution for this. For 15 years THERMOCOAX has been marketing this safety solution for civil and military helicopters designed for very cold environments. 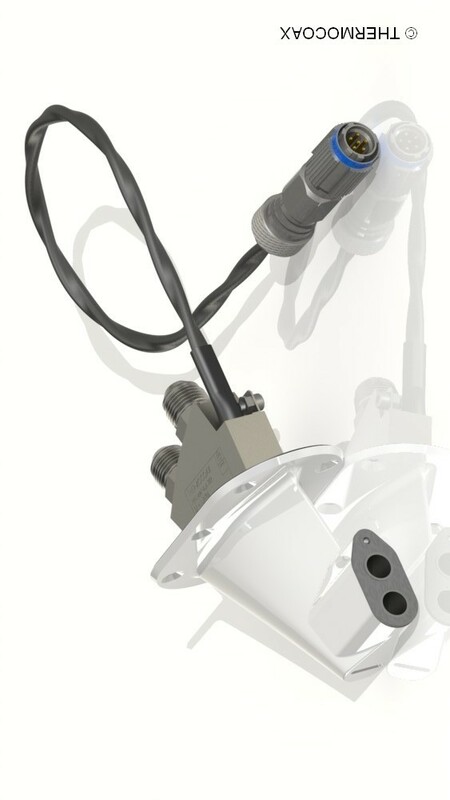 Our cable technology allows the water pipes and not the shell to be heated, for the most efficient anti-icing result. 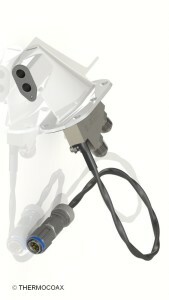 The self-regulated anti-icing version can be lighter compared with a regulation by switches. The anti-icing cable is shaped around the water pipes.